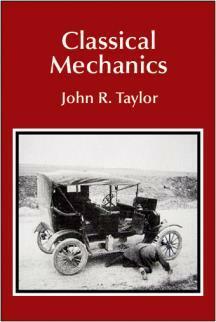 John Taylor has brought to his new book, Classical Mechanics, all of the clarity and insight that made his Introduction to Error Analysis a best-selling text. Classical Mechanics is intended for students who have studied some mechanics in an introductory physics course, such as “freshman physics." With unusual clarity,the book covers most of the topics normally found in books at this level, including conservation laws, oscillations, Lagrangian mechanics, two-body problems, non-inertial frames, rigid bodies, normal modes, chaos theory, Hamiltonian mechanics, and continuum mechanics. A particular highlight is the chapter on chaos, which focuses on a few simple systems, to give a truly comprehensible introduction to the concepts that we hear so much about. At the end of each chapter is a large selection of interesting problems for the student, 744 in all, classified by topic and approximate difficulty, and ranging for simple exercises to challenging computer projects.